Once upon a time, there was a brave sea-captain, name Captain James Cook. Back to Hawaii (otherwise, why would I have it brought it up!) he first landed Hawaii (at Waimea, Kauai) sailing his ship, the Endeavor, in 1778. 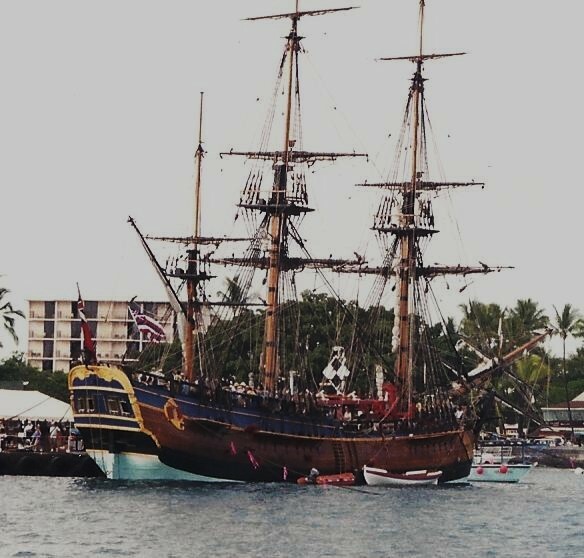 In 1999, we happened to be visiting in Kona when the replica of the Endeavor, a 3-mast sailing ship, was on its voyage. The replica was recreated using the Endeavor’s original plans that are stored at the National Maritime Museum in Greenwich, England. The replica was completing a 4 year, around-the-world tour, and though it was “new”, they made it so it looked weather-beaten. 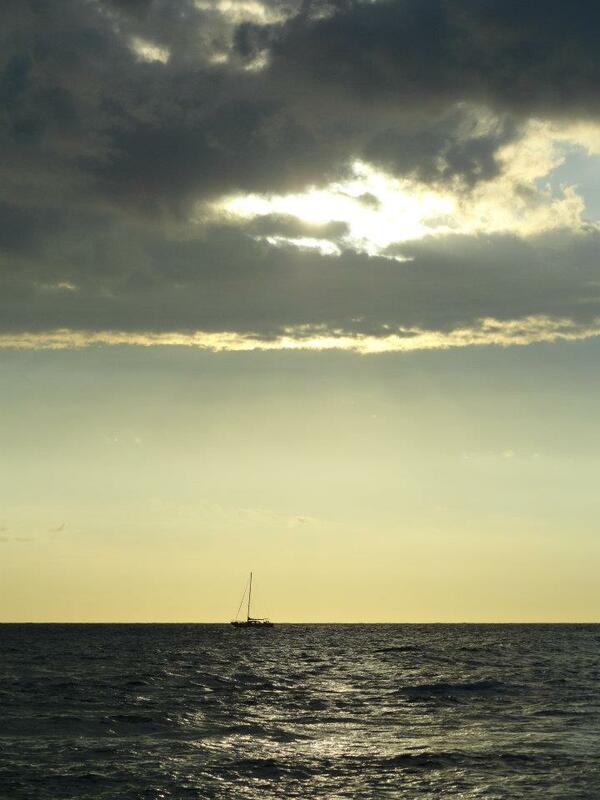 After they left, one of the masts of the Resolution broke, and they had to return to Kealakekua Bay. It was an unexpected return, apparently the season of Lono was over, and the Hawaiians were UNhappy! 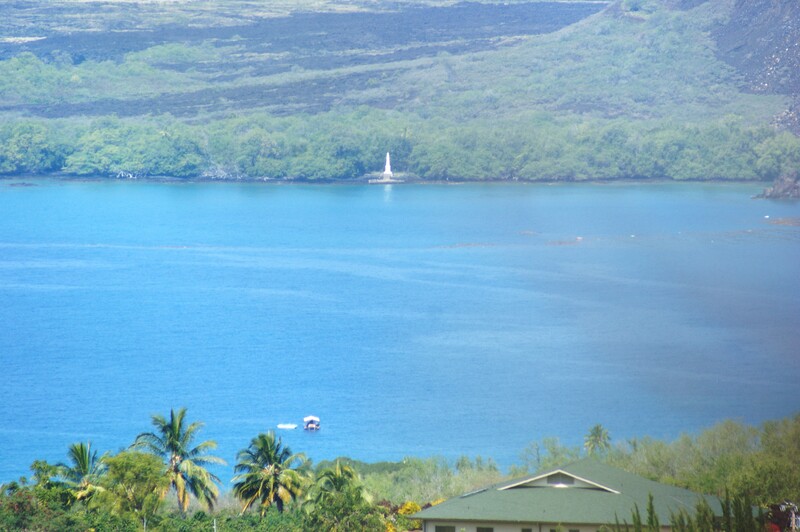 You can either kayak, hike or boat to the monument, which is across the Bay from the easy-access road. The hike is reported to be strenuous – no problem going in, BUT 1300′ elevation increase in 1.8 miles on the way out. The snorkeling in the area is supposed to be AMAZING! Along the road from Hawaii Belt Road (Hwy 11) to Kealakekua Bay, keep your eyes out for the St. Benedict’s Painted Church. 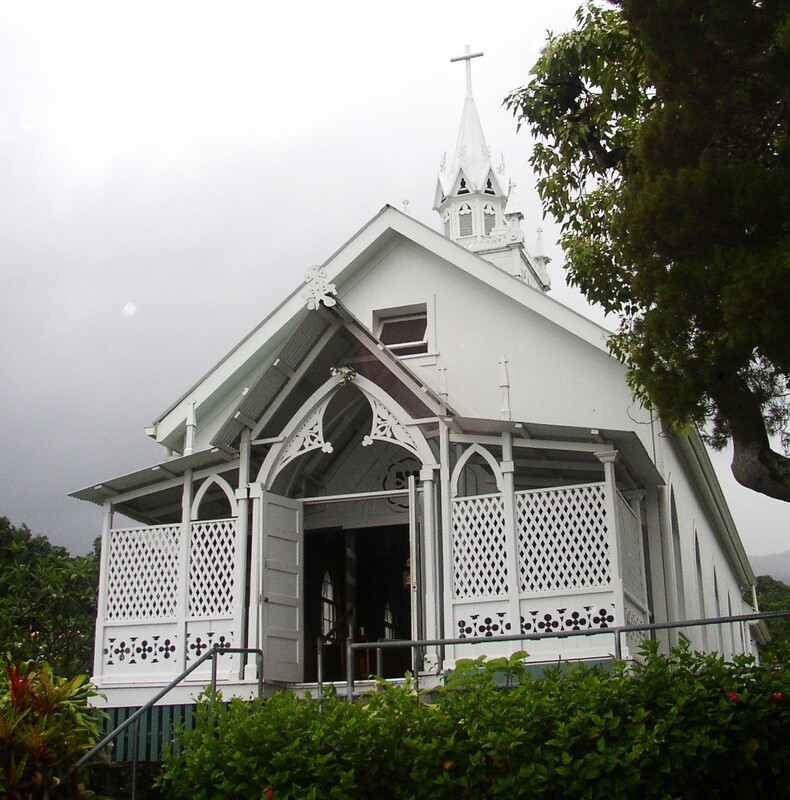 It was built in 1899, by the priest overseeing the parish – John Velghe. 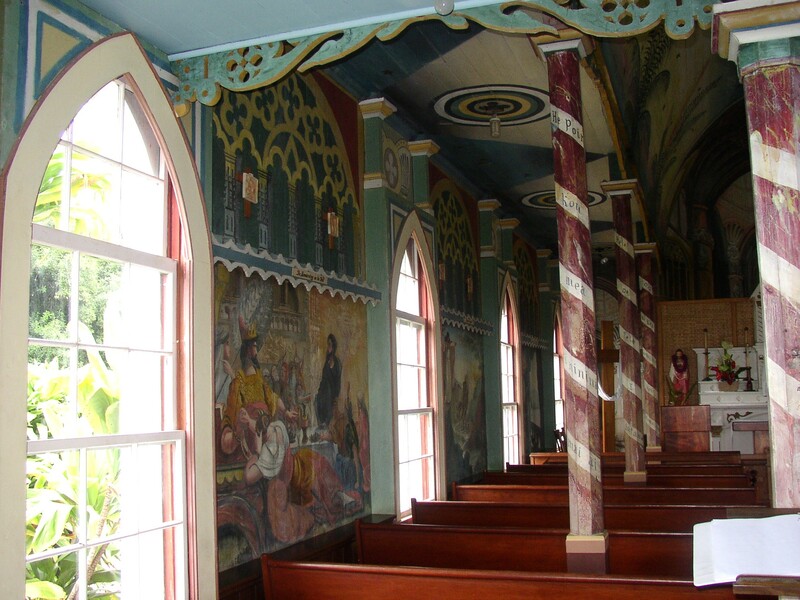 He had no formal training (painting, that is) and used house paint to paint the scenes depicted on the walls. The Church’s website tells that most of the Hawaiian people during that time didn’t read, so he used pictures to teach. Going North along Hawaii Belt Road, you come to Captain Cook (the town/village) and then Kealekekua. I wanted to move there, just because I like the sound of the name 🙂 . 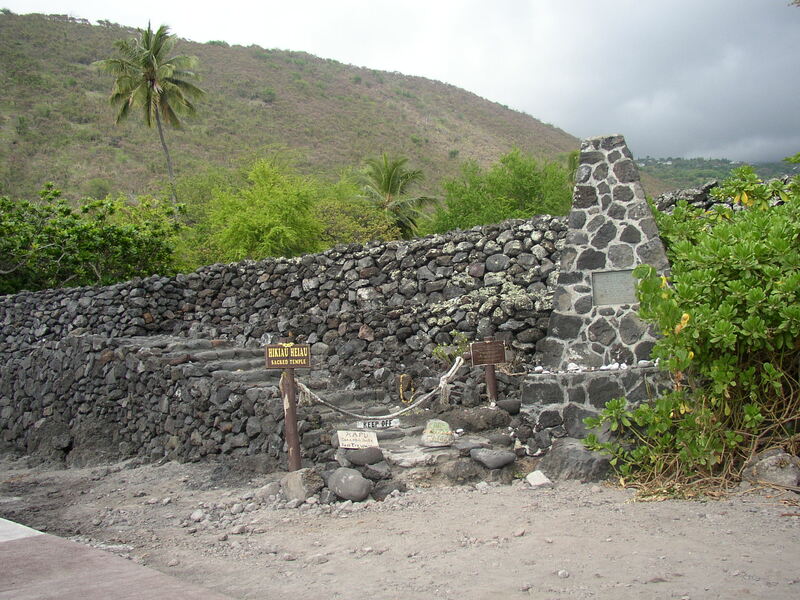 It’s a little town of about 1,650 people (as of the 2000 Census), is 1,427 ft (435 m) above sea level, nice warm temperatures without being too hot, and the subject of this major hit song from 1933, “My Little Grass Shack in Kealakekua, Hawaii. Another fun thing to do there is to visit the Kona Joe’s Coffee Plantation. You can go for lunch, samples and/or a tour. They are the world’s first “Trellised coffee plantation“. Sunday, on to Holualoa, the Art District, and maybe Cloud 9. This really made me giggle! !